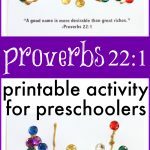 Jesus Covers All Our Sins- Activity for Good Friday - I Can Teach My Child! I’ve always been puzzled by the term “Good Friday”. To the disciples and everyone who loved Jesus, this must have been the most horrible, traumatic day that they could have ever imagined. There was absolutely nothing good about that day. The evil in this world had prevailed. But thank God that wasn’t the end of the story…that Sunday came and Christ demonstrated his power over death. Because of his sacrifice and resurrection, Friday is good in so many ways. 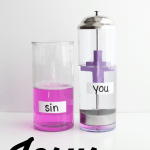 Our sins are covered and we have been made clean through his sacrifice. I’ve been trying to think of ways to explain the concept of redemption to Big Brother. It is such a difficult concept, but I think this might be a good demonstration. 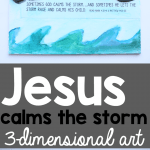 This activity was inspired by this Salvation Art Show from OhAmanda. It is most appropriate for older elementary students and even teens or adults. Honestly, I think I got more out of this exercise than Big Brother! I used the sharpie to write down some of the most prominent sins in my life. 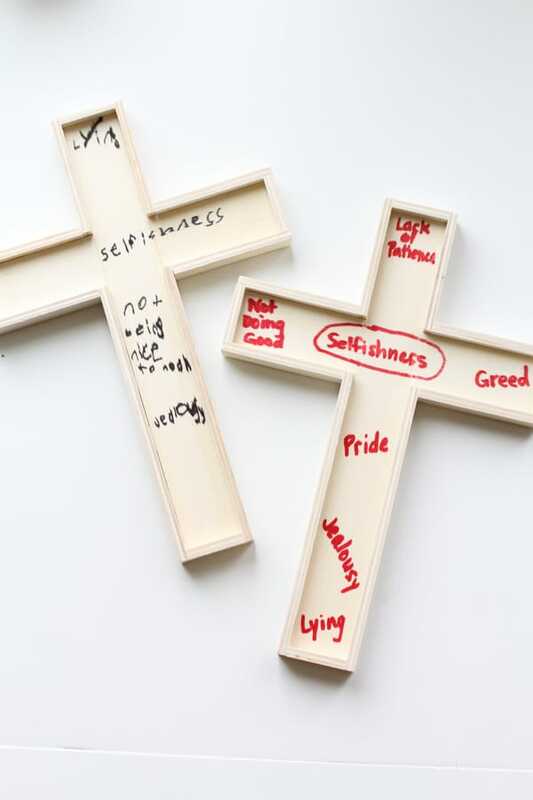 I showed Big Brother my cross and explained to him some of the sins that I struggle with regularly in my life. 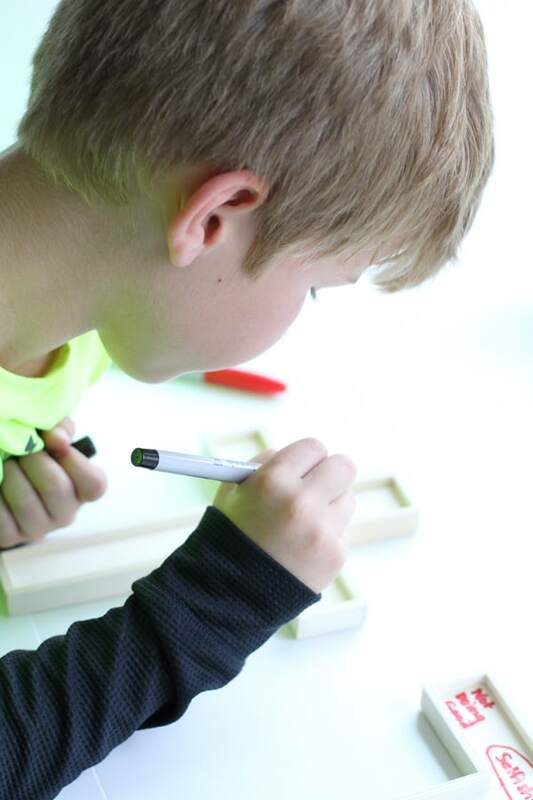 I told him I didn’t want him to copy mine, but if he wanted to, he could write down some things on his cross if he wanted to. The Sharpie bled a little bit and made it sort of hard to read, but it will eventually be covered anyway. 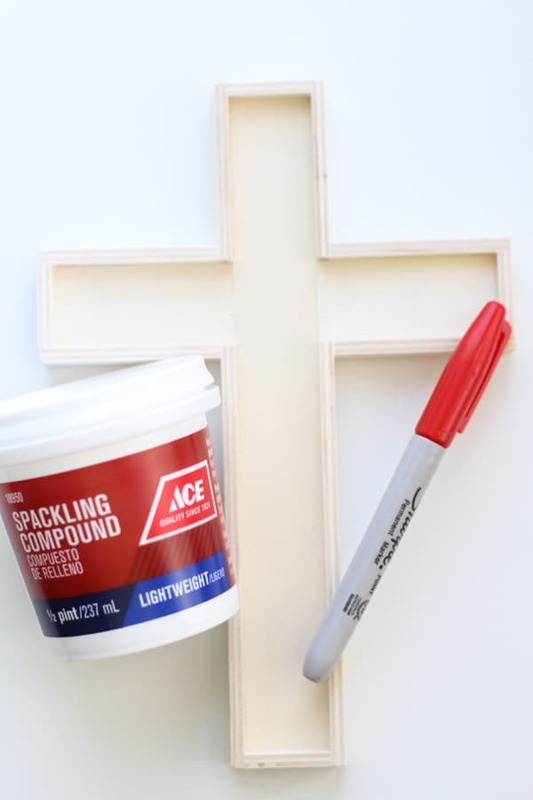 On the night before Easter Sunday, cover the cross with spackling using a craft stick. 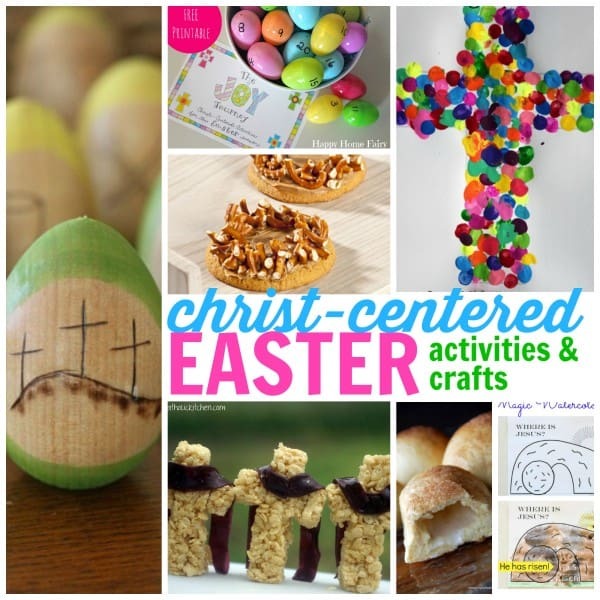 Let it dry and then display it for Easter morning! 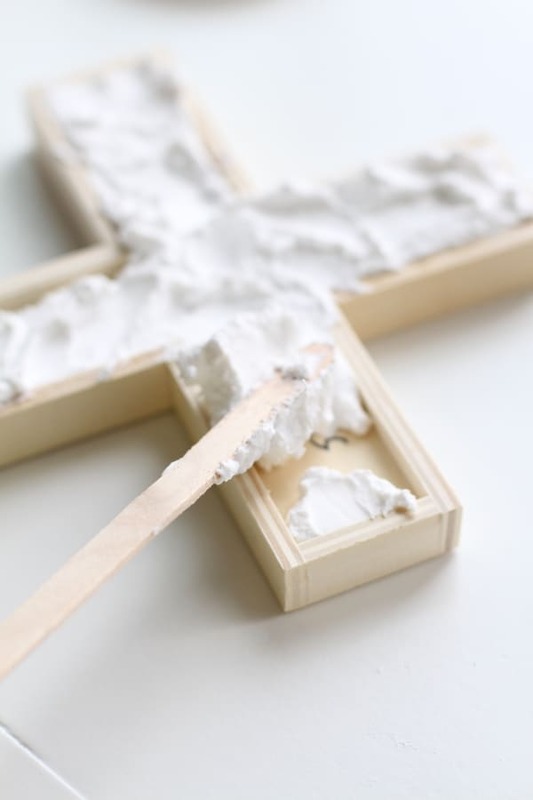 Talk with your child about how Jesus’ death on the cross has covered all our sins! 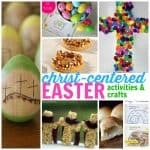 Now this is a great activity! 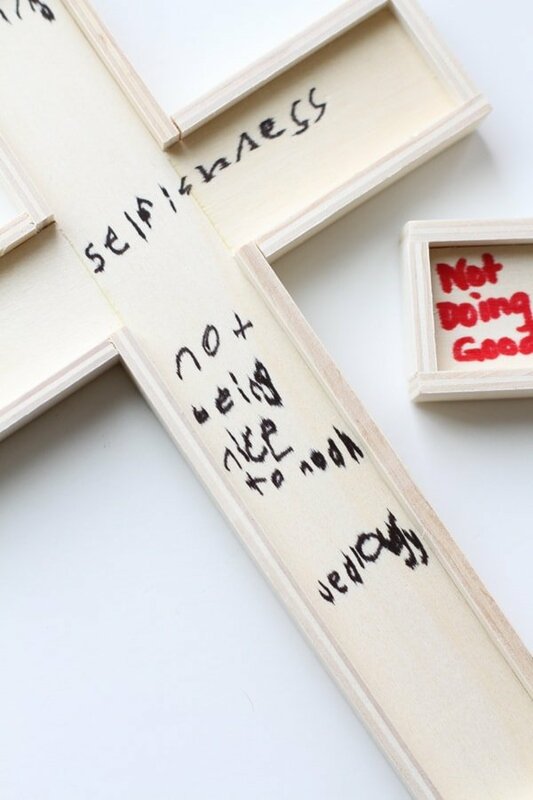 I’m going to do this with my five year old daughter and help her write her sins on her cross. I’ve been working to explain the concept and this illustrates it perfectly! I got them from Hobby Lobby. I think they were about $1 each, but they weren’t on sale. 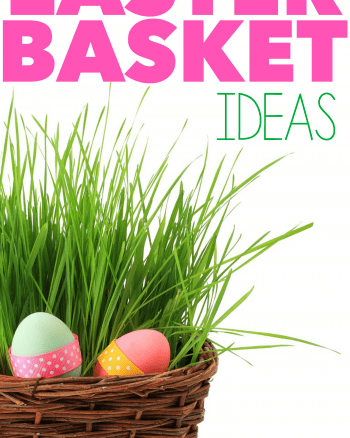 I would definitely check and see if they go on sale next week after Easter! LOVE it! 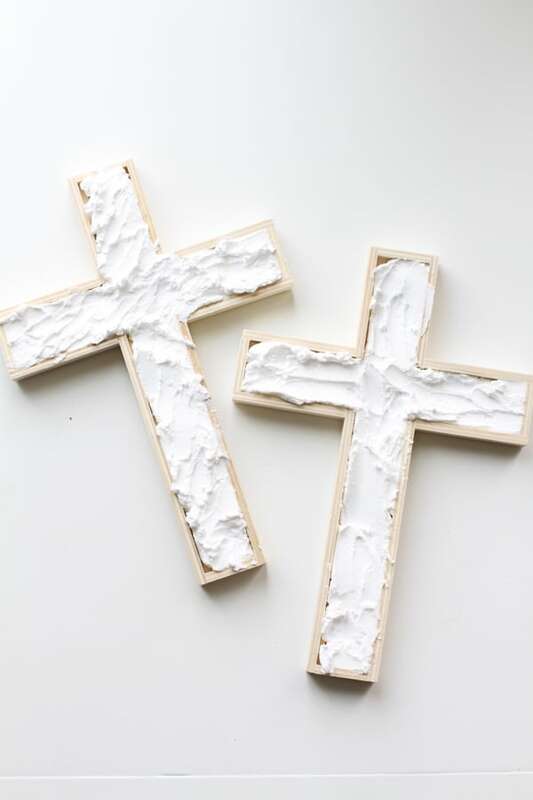 Where did you get the crosses?? 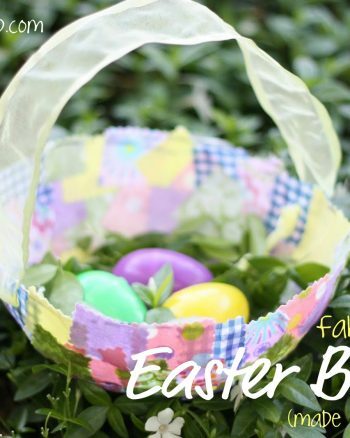 I would love to do this for an object lesson that I am planning for a women’s retreat. I have about 100 women coming, though, so maybe it would be too expensive…. 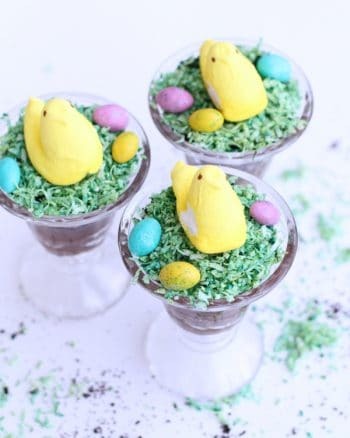 Saw this and was inspired; maybe start it on Holy Thursday explaining how Good Friday is actually good, but cover the “sins” with colored rocks/ marbles and then put the putty or other filler over. 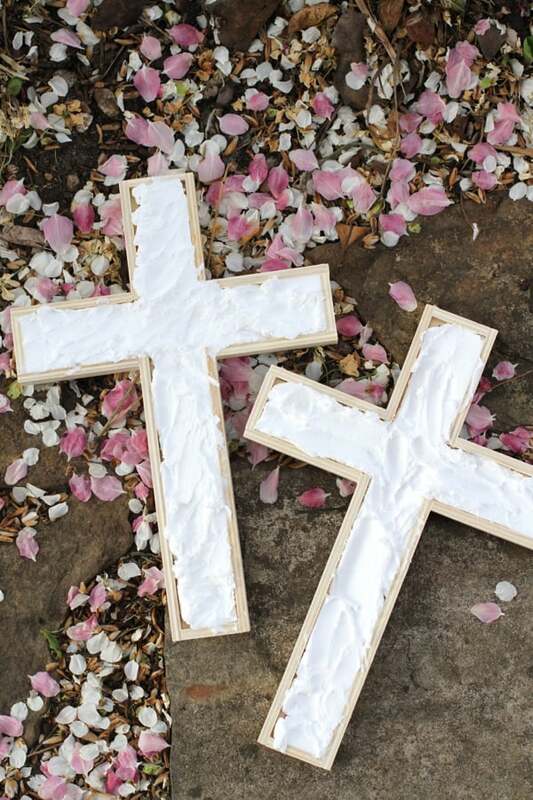 By Easter, you’ll have a beautiful new cross to celebrate with. 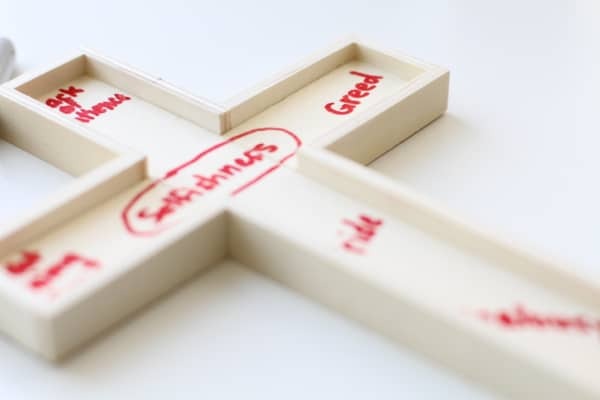 How can I get the wooden crosses? I bought them at Hobby Lobby last year. Can u use Plaster of Paris?